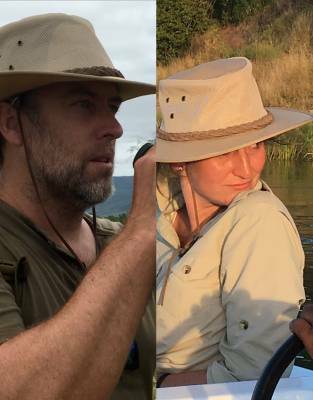 On safari and all outdoor destinations, a hat is a travel essential. At home in Africa, this canvas hat with aerated mesh design and a braided leather band makes for adventure style in every setting. 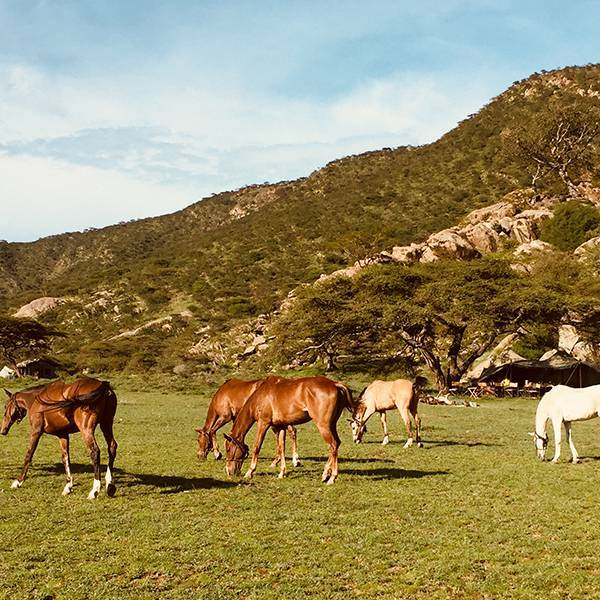 The sun's rays can have a harmful effect on your skin - and the sun in Africa can be especially harsh, which is why we recommend a wide-brimmed hat as a safari essential. 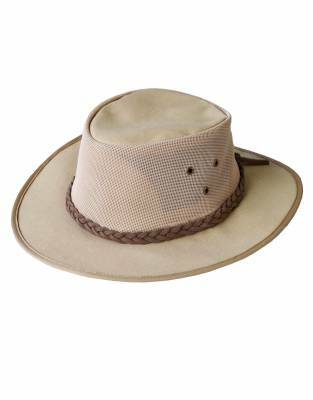 Keep your face and neck protected with this full-brimmed hat on game drives, walking safaris, and around the lodge - and look great at the same time. Canvas and leather lends itself well to safaris. 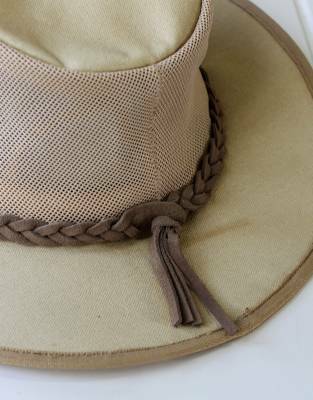 The tough construction of safari-grade canvas is durable - giving you many years of wear - and it develops character as it ages for a hat that bears testament to a life of adventure. It also offers a degree of water resistance, protecting you from the elements. With mesh sides to the crown, this hat is a design favourite for safari, adventure travel, and outdoor sports and hobbies. Offering superior air flow, this hat is well-aerated for optimal comfort in hot conditions. The adjustable draw cord ensures a comfortable and secure fit in a range of conditions. 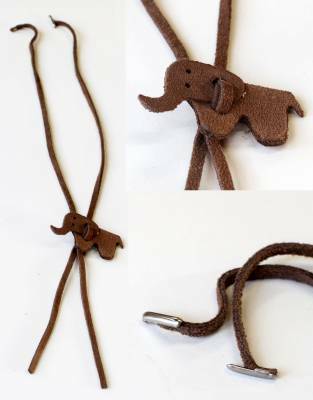 Through the adjustable internal drawstring and detachable neck cord, get that extra bit of security for your hat even on the back of windy game drive vehicles or during boat trips. 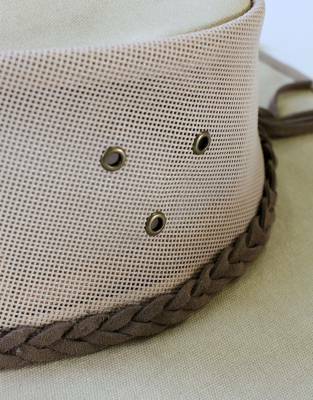 The braided leather hat band and neck cord are leather accents that elevate the hat's overall styling, complementing the canvas perfectly. 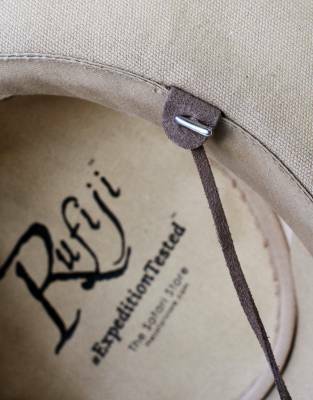 The binding of the Rufiji™ Canvas Explorer Hat has built-in metal around the brim, which means this hat retains its shape well for packing - every reason to take it along on safari, fishing trips, birding expeditions, hikes, and field excursions. You don't have to feel the heat of the sun for damage to be done. Make sun protection part of your daily routine - and integrate it into your travels - to take care of your skin by the pool, on the beach, and for all outdoor activities. On safari and your warm-weather and adventure holidays, this will ensure painful sunburns don't get in the way of making wonderful and exciting memories. Pair your hat with our SafariSUN™ sunscreen and technical fabrics with built-in SPF for an holistic approach to sun protection. ⊙ MATERIAL: Made from safari-grade canvas with a leather hat band and mesh crown. ⊙ CLEANING INSTRUCTIONS: Spot clean only. ⊙ SUN PROTECTION: With a wrap-around brim, this hat provides superior all-round sun protection against harmful UV rays. ⊙ ADJUSTABLE FIT: An internal drawstring and elasticated internal sweatband allows for size adjustment and to secure a snug fit even in windy conditions - great for open game viewers and boat trips on safari. ⊙ DETACHABLE CHIN STRAP: The detachable leather chin strap with elephant toggle offers added assurance that you won't lose your hat on those windy beach days or drafty game drives. How to order the right sized Rufiji™ and Mara&Meru™ hats: ⊙ The designs of all Rufiji™ and Mara&Meru™ hats include an adjustable drawstring to ensure you are always able to get the best fit simply by adjusting the drawstring. This makes ordering the right size that much easier. ⊙ To work out which hat will give you the most comfortable fit, simply measure your head at the fullest part where your hat will sit, which will be just above your ears. Please use this measurement to determine the size above. ⊙ Please note that only our leather hats will have a small amount of stretch (approximately one centimetre). ⊙ As children's heads grow faster than their bodies, this size chart also applies to boys and girls. ⊙ UK and US hat sizes given below are our approximates of the equivalent hat size in each country. Please leave the size chart in "cm" rather than "inches" to view these correctly.